incorporated the organization as a Private Limited Company. end-to-end solutions that leverage technology-enabling customers to grow their business. and management graduates, apart from our valued customers. manufacturing operations. Customer benefits and on-time support is our prime objective. waiting in the wings and our efforts are to fulfill that dream. As integration of business functions is one of the key strength of ERP system, the integration process begins at the contact with a possible client. 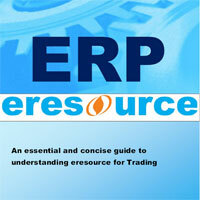 Therefore, this process of client ordering is at the heart of the ERP system. In an ERP system the integration of sales and distribution to capture the order and ship the products, material management to control the inventory, financial accounting to manage the request and flow of money, controlling to live the profitableness of operations and production aiming to guarantee a cheap flow of products to inventory and customers.